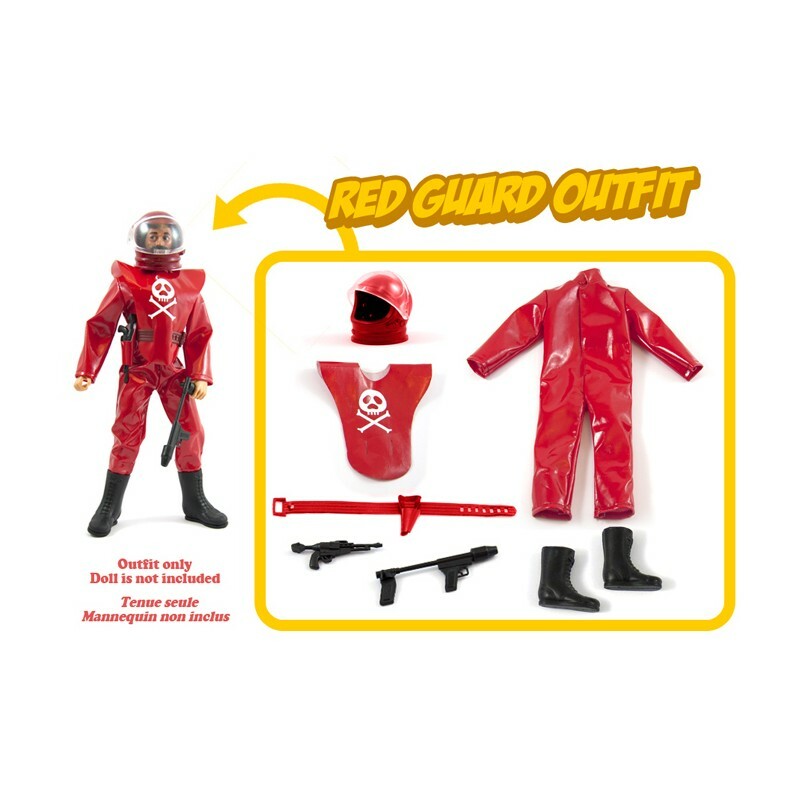 Space Pirate Red Guard outfit by Captain Cosmos. • The Red Guard outfit boxed in its cardboard canteen. For the Space Pirate outfit, we wanted to remain as close as possible to the vintage article. The original pleather being discontinued, we’ve selected a shinier fabric to give it a more futuristic look. The logo is printed directly on the fabric and not a sticker as the original one was. The accessories will be identical to the vintage ones. There will be 200 Space Pirate outfits (black), 100 Red Guards outfits and 100 Commander outfits. These numbers represent the whole quantity of the production. 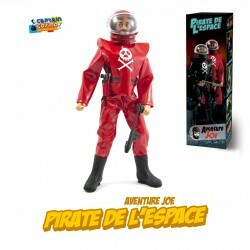 And since the Captain wants you to actually play with his creations, the outfits won’t be sold under blisters but in a cardboard box reminiscent the old wooden canteens of our beloved action figures. This box will allow you to put the action figure inside once it is dressed.